The Professor Is In has been going for 7+ years now (!!) and lots of our job market clients from years back are now coming up on tenure! I’m thrilled that so many are getting back in touch for help writing their tenure statements. But I’m horrified — simply horrified — at the tenure statement drafts I’m seeing. They are bad the way teaching statements are bad: weepy, desperate and oscillating painfully between obsequious and grandiose. I have to confess that I fondly believed that once folks got their jobs and worked as professionals for a number of years, they would leave behind the anxious, pandering, self-sabotaging habits of the new Ph.D. Sadly, that is clearly not the case. And actually, I should have known that. Because when I work with tenured job market clients seeking Associate and Full Prof (and Dean) positions, their job docs are just as weepy, over-emotionalized, and insecure as any new Ph.D. So clearly, Imposter Syndrome and the “never good enough” ethos of the academy is more stubborn than I realized. So from today I’m going to do a series of posts on tenure documents. And please remember two things: First, all tenure processes are local. No general advice as I offer in this serious can replace the specifics of YOUR department, field, and institution. You MUST bring your research A-game to deciphering the spoken and unspoken, written and unwritten practices, policies, and norms of tenure that will impact your own case. I offer these blog posts as a starting point for your inquiries; you SHOULD expect that your own context will differ in significant ways. My hope is that in reading these accounts based on my experiences in four different departments, you will be alerted to places of tension or variability of which you were previous unaware, and moved to inform yourself. But always, confer with trustworthy, experienced senior faculty members in your own fields and institutions. Second, I do edit tenure documents. The work I do on tenure documents is intensive and highly targeted to the type and rank of institution and conventions of your field. At present this work is done entirely by me (ie, not the TPII editing team) as I am the one with experience as a) tenure and promotion committee chair, b) department head in charge of tenure cases, and c) external tenure reviewer. If you wish to learn more about working with me on your tenure file, please email at gettenure@gmail.com. Indeed, the tenure statements I’ve reviewed have actually shocked me in their badness. And I did not think I could still be shocked by anything in the academic world. Of course I cannot know what the clients’ outcome would have been without my help. But what I can say is that many of the tenure statement drafts I’ve seen would have been entirely unacceptable at my former institutions. They made the same mistakes that I rail against in job documents: they substitute sentimentality for evidence. They pander. And they show no awareness whatsoever of the actual agendas of their readers. While perhaps the facts of the record may have overcome these dreadful statements (because generally the facts of the record have been solid), in my experience in tenure cases — especially now in a drastically contracting academy where institutions are trying to jettison full-time faculty members — any red flag at all can have dire consequences. Poorly conceived and executed statements can cast a pall on the candidate that in a close case may prove decisive. And rest assured that tenure committees are always hoping the case will be a “slam dunk” because NOBODY wants the hassle and expense of a failed tenure case and its frequent associated litigation. Tenure committees require the same thing as search committees: they need concrete evidence of your achievements in research, teaching, and service (and outreach and/or administration, if those are formal parts of your job). The fact that you are “passionate” and “enthusiastic” and “caring” are not pertinent to these achievements. Yes, at small teaching colleges–especially those with a religious identity – your claims of emotional investment will matter more than at an R1, where they matter not at all. But, even at small religious colleges, incessant, tedious, repetitive invocations of passion and care do not a tenure statement make. Even there, they need to know the facts: what you teach, how you teach, and the outcomes of your teaching. That you are passionate about the teaching comes through far more in the substance that you SHOW, than in the feelings you CLAIM. The reasons that you need to emphasize evidence over feelings is that the statements will be read by a range of people who know and care about you less and less, the higher they are in the college or university hierarchy. So, your immediate departmental colleagues may overlook a substance-lite, sentimentality-filled tenure statement because they know you, know your work ethic, know your grant and publication record, and know your successful students. So they are filling in for evidence that may be lacking. But when your packet moves up to the college level, and from there to the campus level, those reviewers who are in fields ranging from Physics to French, from Chemistry to Classics, from Engineering to English… will not be swayed by your earnest bleatings about care and commitment. They will need to know the outcomes of your work: the number of rank of publications, the amount of grant money raised, the number of students and credit hours, the specific named courses you taught and how you taught them, your quantitative evaluations, and the number of committees on which you served. While the framing of this evidence will vary based on the rank and type of institution in ways I’ll be explaining in future posts (tl;dr: a little bit touchy-feely at small religious teaching colleges, dry and factual at R1s) the core content a tenure statement demands does not vary, because people who do not know you or care about you at the highest campus levels of review must evaluate you, and they have no particular investment in your staying if they don’t believe you yield concrete benefit to the institution. External tenure reviewers: what do they do and how are they chosen? Stay tuned. And I’ll gladly post on any other topics related to tenure in this series. So, please feel free to put your questions below. And remember: Nobody wants to hear about your grandmother. I hope it’s OK to put a blog request here: It’s been a while since TPII has posted about disability. What are your thoughts about navigating cognitive difference/disability/neurodivergence in academia? Especially given that about 10% of the general population–and an increasing percentage of undergraduates–are not neurotypical, why are the very people in academia best qualified to understand them treated so poorly? Perfectly timed! I was discussing today with a colleague how clueless we are in putting together our tenure package this summer. We concluded we need to see the one put in by a colleague this year to at least understand the parts. It seems it’s not as bad in our university as we have to fill in this website with all the info and the report it generates is the tenure package…we think so…reality will tell. I am also awaiting these additional posts and discussions, as I am putting together my T&P package this summer. Looking forward to these posts, too. Putting together the external packet now and the internal packet this summer. God, I’d love it if you could put together a mini-book or pamphlet or something on surviving life on the tenure track… I’d happily buy that book and follow it religiously! 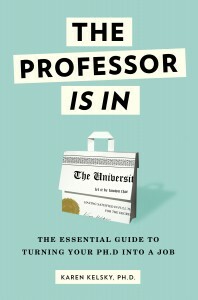 Your book helped me get my tenure-track job… now I want your help to keep it! I know! I want to! But writing a book is brutal and there is so little ROI for the time spent in our current book publishing economy. But I will see what i can do. I am getting bored with my current research and need a way to think through what I’ll do next, which would be the post-tenure, up to promotion period. I want my research to contribute to social change more but am getting tired of the same subject matter too. Suggestions?